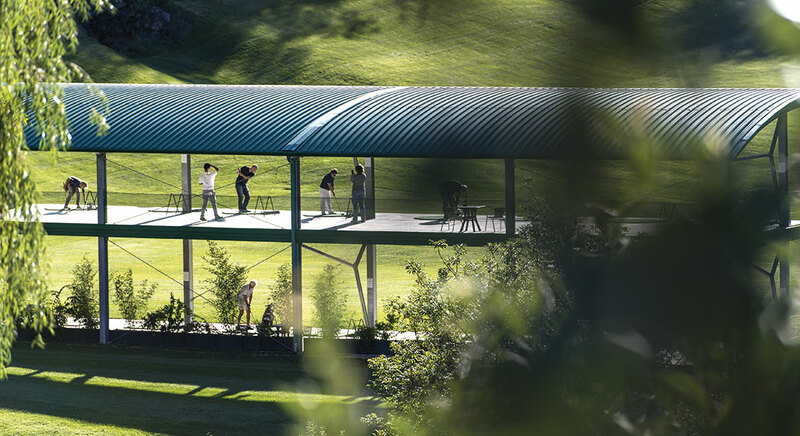 The St. Vigil Seis 18-hole golf course in the Dolomites at the foot of the Sciliar, surrounded by blooming meadows and green fir woods, is a real gem that will amaze all those who love this fascinating sport. A harmonious part of the magnificent scenic countryside of the Dolomites, the course extends over approximately 60 hectares on a plateau at an altitude of 850 m. It offers everything a golfer could ever ask for: long fairways, easy layouts and a wide variety of holes surrounded by idyllic lakes, gorges, streams and enchanting waterfalls. The course includes a driving range, putting green and chipping greens, plus a pitching green. The spacious driving range, with 32 covered tees over two levels for a total length of 260 m, offers effective practice in the heart of an incredible scenic landscape. Here, practicing is a real pleasure! Golf lessons and courses with the Golf School director Daniel Schütz, a PGA-certified professional golfer. Special introductory golf courses are offered for beginners along with try-out lessons for anyone interested in beginning this fascinating sport.